Get all of the information you need to know on getting Braces in Boca Raton by Dr. Pam Orthodontics. Braces are the most traditional and common method of undergoing orthodontic treatment. Braces are used by an orthodontist to improve the function and appearance of your teeth and smile. The braces system is composed of individual brackets that are placed on each tooth in a very specific position. The brackets are then connected using a wire and rubber bands to move your tooth to the desired position. During the course of your treatment, Dr. Pam will change your wires and bands as necessary in order to move the teeth appropriately. Brackets may be adjusted during treatment if necessary to enhance the position of a particular tooth. This is how braces moves your teeth to their desired position. Tooth movement is guided by a principal called biomechanics. In order to best understand the amount of tooth movement that is required and the amount of tooth movement that is safely possible, a thorough orthodontic examination must be performed before your braces are placed. Dr. Pam will first take a set of Orthodontic Patient records. This includes a dental examination, a series of photos of your teeth and face, digital and/or plaster models of your upper and lower teeth, and detailed specialized x-rays (Panoramic and Cephalometric radiographs). Dr. Pam uses the latest orthodontic technology in providing these records in order to make the experience safe, comfortable, and efficient. There are many components of your teeth, bite, and the entire facial appearance that come into play when designing your individualized treatment plan. Dr. Pam takes all these factors into consideration in order to achieve your best orthodontics result with braces. She will study all of your records including the photos, x-rays and models in order to customize the best treatment plan for you. The goal of Orthodontic treatment with braces is to straighten the teeth but also to place them in a stable position. A successful orthodontic treatment addresses functional and esthetic issues in order to create beautiful and healthy smiles. As an orthodontic specialist, Dr. Pam is trained to adjust all the minor details of your smile and bite to achieve the greatest results. After all, you deserve the best results! Modern advances in braces technology have provided more esthetic options for patients of all ages. Braces come in two main variations — metal and clear. There are advantages to both types of treatment options. Dr. Pam will meet with you to discuss your specific treatment plan and determine which braces option will give you the BEST outcome. Clear braces today are nearly invisible and can be combined with white wires to provide the most esthetic treatment option. 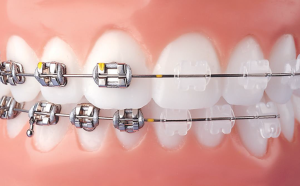 Braces may be used alone or in combination with other Orthodontic appliances to achieve the desired results. At each appointment, Dr. Pam will closely evaluate the position of your teeth to determine what needs to be done next. Proper adjustments will then be made to take you one step close to your fabulous new smile. The final goal of Orthodontic treatment is to find that perfect combination of esthetics, function, and stability! Braces are a device use to straighten your teeth. A bracket (one single unit of braces) is placed on each tooth. A wire is then placed through all the teeth and tied in to each individual tooth with a rubber band. Over time, Dr. Pam will make adjustments to strategically move your teeth to the final desired position. Every patient presents with teeth in different positions. Some people may only have a small amount of movement needed to straighten their teeth and can be treated in a few short months. Other patients require more treatment that may range up to 24 months. Each patient is unique and requires a customized treatment plan to achieve the best possible outcome. Dr. Pam will thoroughly study your pictures, x-rays and tooth models to determine the best treatment plan. She will tell you how long you can expect to wear your braces in order to complete your orthodontic treatment. Our orthodontics office provides a personalized type of care that will guarantee that your braces treatment will progress in the most efficient and timely manner. Dr. Pam will see you and spend as much time as necessary with you in order to ensure this. Any additional studies that may be needed in your treatment are included. This allows us to provide you with the best care for your teeth. 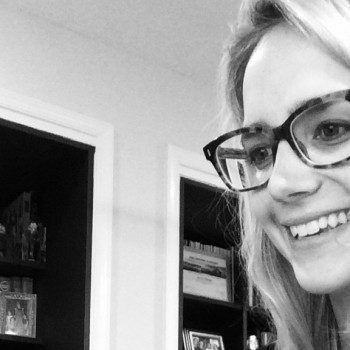 Am I too old (or too young) for braces? Braces are appropriate for patients of all ages. Many younger patients need braces around the age of 7 in order to fix problems that arise early on. Other patients seek treatment during their teen years to straighten their teeth and bite. More recently, a growing number of adult patients are headed to the Orthodontist to get their teeth straight — there really is no age limit! For adult patients, we do recommend working side by side with your dentist to ensure that your mouth stays healthy throughout treatment. When the braces are adjusted or tightened, you may feel sore for 2-3 days. This is totally normal. Patients may take Advil (Ibuprofen) to relieve any discomfort if necessary. Every patient is different and some do not experience any discomfort. How often do I need to see the Orthodontist during Braces treatment? Appointments are usually scheduled every 4-6 weeks for routine adjustments. There may be times when the interval is shorter or longer — this all depends on what specific treatment is being done. We will work with you to accommodate your schedule accordingly. We will also choose the best technology for your teeth that achieves the greatest outcome and fits within your lifestyle. What will you be doing during my orthodontic consultation? Dr. Pam will evaluate your teeth in order to assess if you are a good candidate for orthodontic treatment. This involves an examination of your face, mouth and teeth. If you are a good candidate, patient records may be taken. This is a combination of photographs (teeth and face), digital models, and specialized X-rays. This information allows Dr. Pam to design your customized orthodontic treatment. How do the teeth affect the appearance of the face? The position of our teeth largely determines the position of our lips and affects our overall facial appearance. For example, teeth that stick out too far may result in lips that also stick out too far; oppositely, teeth that are too far back will cause the lips to sit too far back. Both of these options may lead to an unbalanced esthetic outcome. Your bite and tooth position also affects the entire facial balance and appearance. Altering tooth position can optimally align the facial balance. I want straighter teeth and a better bite, but I am afraid of the way braces look. Are there any other options? Yes. The days of big metal braces are over! Today you have many braces options that can fit into your lifestyle. This includes tiny metal braces and camouflaged clear braces. Braces technology has rapidly evolved over the past 10 years and continues to do so. Today’s brackets are very small and difficult to notice. Even metal braces can be so small that they are hard to notice. Dr. Pam also specializes in clear braces. Clear braces match the color of your teeth and are barely noticeable. Furthermore, Dr. Pam can also use esthetic wires that minimize the overall appearance of braces. She is an expert in this technology. You will not only have a beautiful smile, but we will hep you achieve this in is a way that conforms with your lifestyle. Finally, our office also specializes in Invisalign. Invisalign moves the teeth using clear plastic aligners that are molded to your teeth. In your consultation Dr. Pam will review ALL the options with you and determine the best treatment path for you. Dr. Pam will perform all of the treatments with the assistance of her team of expert orthodontic professionals. 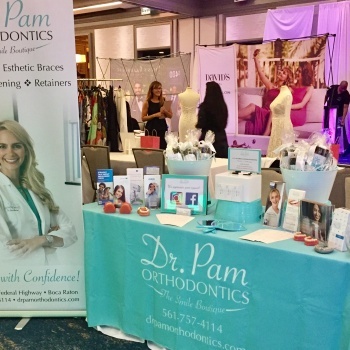 Dr. Pamela Steiger developed the Smile Boutique because she identifies the need for a more personalized orthodontic experience. She will personally see you and thoroughly evaluate you during each of your visits to our office. This personalized type of care is unique to our practice. It ensures that your treatment will result in the best orthodontics outcome in the quickest amount of time. Why does the orthodontist need to take X-Rays of my teeth before treatment? X-Rays are used to determine the actual position of the teeth within the bone structure of your mouth. Your tooth has two different anatomical parts — the crown and the root. The crown portion is what is visible to you in the mouth. The root portion resides within the bone and can only be seen on the x-ray. An important part of moving the teeth is understanding how to move both the crown and the root to the proper position. This is called biomechanics. In order to do this, the braces must be placed in a very specific position on each tooth. The braces also must be placed in a proper position relative to each other. Proper positioning is a large component of a successful outcome. Dr. Pam customizes her approach to each individual patient. This achieves the best braces results in the fastest amount of time that is safe. An x-ray allows planning for the safest and best possible orthodontics treatment. What kind of X-Rays are taken when I am being evaluated for braces? Two types of x-rays are generally takes in order to study your teeth when planning orthodontic treatment. 1) Panorex- This is a study that shows the entire teeth as they relate to each other. In children, the baby teeth are evaluated to see how they are coming out in relation to the adult teeth underneath them. This importantly guides treatment recommendations. In adults, the tooth structures and health are evaluated to make sure that orthodontic treatment is performed properly. 2) Cepahlometric X-Ray- This is a view of your facial profile. It allows the orthodontist to study how your upper and lower teeth interact. It also allows reveals the different boney components that make up your face. Dr. Pam evaluates this in order to design the ideal tooth movement as it relates to balance with the rest of your face. Do the X-Rays have a lot of radiation? No. Radiographic technology has advanced tremendously in the past 5-10 years. We have the most advanced radiographic technology in our office. These digital machines are designed to deliver the minimal amount of exposure possible. It is comparable to one day of natural radiation that we are exposed to on a daily basis.